In an age where the importance of citizenship education is becoming apparent to deal with the current threats to fundamental European values, many countries are implementing changes in their national policies. 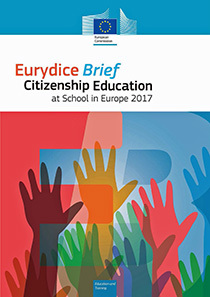 The Eurydice brief Citizenship Education at School in Europe – 2017 presents some of the main findings of the November 2017 report, highlighting the differences between countries’ regulations and recommendations regarding citizenship education that can affect its implementation in schools. • What is citizenship education about? This entry was posted in General on 8. February 2018 by Heckeberg.